An unexpected guest at a Taitung County hot spring hotel. It’s hot spring season in Taiwan. Across the island, hot spring resorts are filling up with guests coming to warm up a bit and relax in nature. As one hot spring hotel owner recently found out, though, not all of the guests coming for a soak are human. 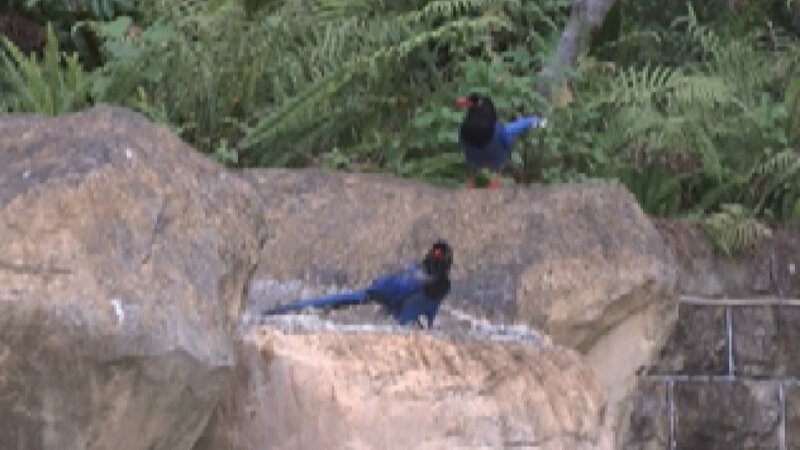 Grainy footage shot at a hot spring hotel in Taitung County shows a group of Taiwan blue magpies. These birds are protected in Taiwan due to the effects of hunting and invasive species. However, it’s not the birds themselves but what they’re doing that’s drawn attention. It’s hard to tell, but these birds are enjoying a dip in a hot spring. They’re even taking turns! The birds are known in the area for coming out and eating papayas. But this is the first time anyone around has seen them enjoying the local hot springs. Staff at this hotel rushed to film the bathing birds. Taiwan blue magpies can now join a list of animals including macaques and capybaras that enjoy a good soak. Who knew?